We recently received this feedback from a reader using the Vegan elemental diet shake kit to provide her body with some bowel rest and hopefully gain some weight. What I LOVE about her story, is she outlines the twisty path healing can take. And how when you’re trying to heal multi-layered imbalances or dis-ease, you often have to pick your battle. Or, you have to accept that healing has to occur in layers. And that it can’t occur across-the-board, all at once. Found the sweetened vanilla with the maltodextrin incredibly sweet but had only ordered two of the plain unsweetened out of 6 containers so found it difficult for that reason to drink. It was gritty but that didn’t bother me, it was the sickly sweetness as far as taste went. I can’t tolerate any other oil than coconut so used that and was only able to use 1 tsp per shake as my liver can’t deal with more. The Sun Warrior protein powder was the best, most easily digestible I have ever tried and I have tried many different brands. My problem was the effects of the maltodextrin on my body. I was nauseous, dizzy, weird heart pounding and by the 4th day couldn’t even communicate properly with anyone. This did not abate for 3 weeks and by that time I decided to stop even though I wanted to do the six weeks. The high acidic content of the maltodextrin also gave me continuing cystitis which further added to the extreme discomfort. The maltodextrin did its job of providing sufficient nutrition so that I was never hungry and I did not lose any weight but also did not gain (I was taking 6 shakes a day). I am now using the Sun Warrior protein powder shakes without maltodextrin as a supplement and am finding it extremely good. I take all the vitamin supplements Jini suggests in the vegan kit. 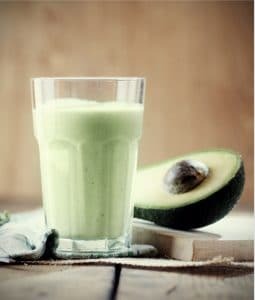 I have upped my intake of oil from 3 tsp to 4 dessertspoons per day and add avocado to the shakes for calories (I was 77 lbs at start of elemental diet). I have soft vegetables and homemade sauerkraut twice a day and the shakes 2-3 times a day with bone broth in between. I have now put on 4 lbs which is more than I have added in the last 2.5 yrs. So although the tapioca maltodextrin was hard for my body to accept, I feel that the 3 weeks of the vegan elemental diet may have “rebooted” my body to allow me to do what I am doing now. The support I had from LTYG people has been phenomenal… thank you Rachel for your invaluable experience and information. I did not feel alone throughout this experience and am grateful for the things I have been able to add to my diet. I love the way JD was able to sense when her body was ready to transition off a full elemental diet to only a semi-elemental diet – and her regimen sounds excellent. Remember, I have more food-based bowel rest ideas for you here. And more about the healing in layers concept here and here. In case you’re wondering, Rachel is part of our amazing customer help team here at LTYG. I can’t legally give anyone personal health advice, but I can spread a lot of information through this blog and my team is fabulous at answering questions and referring you to the info/data you need. And if you ever ask them something they don’t know the answer to, they tag me. So rest assured we’ll do our best to help you out with everything we know. ← We Must Move Forward! I am allergic to L-Glutamine and Glutamic Acid which has made it extremely difficult to find a product to use for the Elemental diet. There are some infant formulas that are suggested but they contain some really bad ingredients like soy and corn. Do you have any suggestions? The other option that we can recommend if you cannot tolerate a certain ingredient in Absorb Plus is the “Vegan Elemental Shake” (which is designed for people who need to break down the formula and delete ingredients they may be sensitive to) and then you can just omit the L-Glutamine. L-Glutamine is a free-form amino acid that is use to stop the diarrhea and for healing the gastrointestinal tract. Mucosaheal is also included in the Vegan kit which contains the ingredients that are best healers for the intestinal wall and mucosal lining, so you should be able to get the same benefit without the L-Glutamine in the formula. For sure, this is new to some people especially to those health enthusiast individual. You can never go wrong in becoming healthy and fit for as long as you are trying to do those things that are really beneficial for you and your health. Doesn’t the vegan shake have Xantham Gum in it? Is that good/bad for SIBO/digestive issues? Thank you for contacting us. It is not normally allowed. However, the amount contained in the Sun Warrior brand is less. The very slight negative of having it there is far outweighed by the fact that the rice is sprouted. This is always the difficulty when trying to source products – unless you can formulate it yourself, there is often some give and take. Jini is on track to help Imix release a Vegetarian Absorb Plus this year. I can’t stop the burning in my chest, gut and bowels after i eat what can I do.Pleas help! I also suffer from, chronic constipation Thank you. I also have lots of food sensitivities . Hi I’m Christian Moral Calamaan from Philippines. I was diagnosed Crohn’s disease 2005, and until now I’m still fighting and finding the cure. How I could reach you guys, I’m too far from you. I don’t think so I could acquire all supplements you recommend, it’s not available here in the Philippines. So hard. Hope I could reach you. Please search my facebook account: christian moral calamaan. Hope to hear from you soon. Thank you for reaching out. LTYG ship worldwide but I recommend getting Jini’s book Listen to your Gut If you’d like to immerse yourself in a ton of information ASAP (available in eBook). This book outlines how Jini healed her own Crohn’s disease and details out several protocols and after reading it, you’ll have a good idea what supplements you need for your specific symptoms or whether you need/want to embark on an elemental diet, or not. 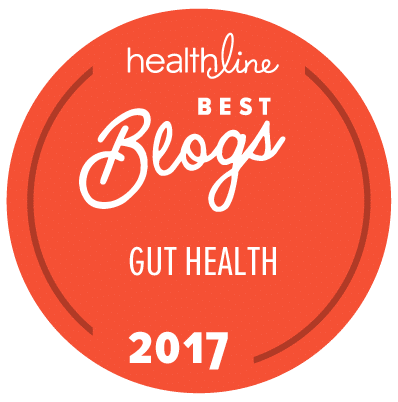 You can always email us at service@listentoyourgut.com if you have any questions regarding Jini’s products and protocols. We wish you all the best on your healing journey!